One of the most valuable aspects of the federal Post-9/11 GI Bill is that veterans can share the benefit with their spouses and children. But when this happens, everyone’s pulling from the same, limited 36-month pool of benefits — and likely no one will have their full four-year degree covered by the shared benefit. Not so for qualifying veterans in Wisconsin. The Wisconsin GI Bill can provide all Wisconsin vets with extra GI Bill benefits. And for certain disabled vets, it may provide the veteran, spouse and children each with their own set of 128 credit hours of Wisconsin GI Bill benefits, which they can use at the same time as the veteran and each other. And one person in the family using their benefits doesn’t reduce anyone else’s GI Bill. The benefit can be used at any school in the University of Wisconsin and Wisconsin Technical College systems and provides qualifying veterans with 128 credit hours, or eight semesters, of free tuition and related fees for all levels of higher education. “Most of the time when I’m talking to folks and explaining what it can pay for the, the reaction is, ‘This sounds great. Where’s the hook?’” said Joe Rasmussen, the veteran services coordinator at the University of Wisconsin, Madison’s Veteran Services and Military Assistance Center. “It’s somewhat unbelievable, but it’s a really generous benefit that’s helped a lot of people,” he said. 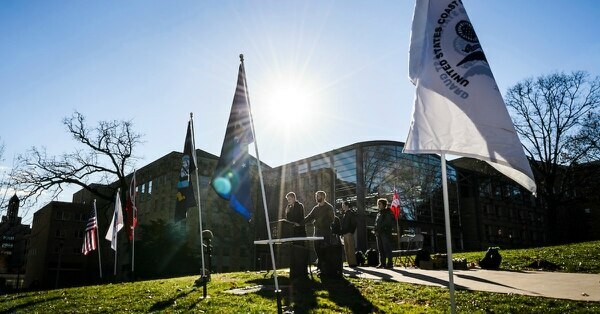 Four University of Wisconsin system schools made Military Times’ Best for Vets Four-Year Colleges ranking in 2018 and two Wisconsin technical colleges made our Best for Vets Career and Technical Colleges ranking. The Wisconsin GI Bill first passed in 2005. The Wisconsin Department of Veterans Affairs determines a veteran’s eligibility, but the program itself is mostly run and paid for by the schools. A veteran can apply by first submitting a form to the Wisconsin state VA and, once they are approved for the Wisconsin GI Bill, applying directly to participating universities. In most cases, a veteran must have exhausted his or her federal GI Bill benefits before accessing the Wisconsin GI Bill. For a veteran to qualify, he or she must have completed two years of active-duty service — or 90 days of active-duty service during war time — and must have been a Wisconsin resident for five consecutive years. 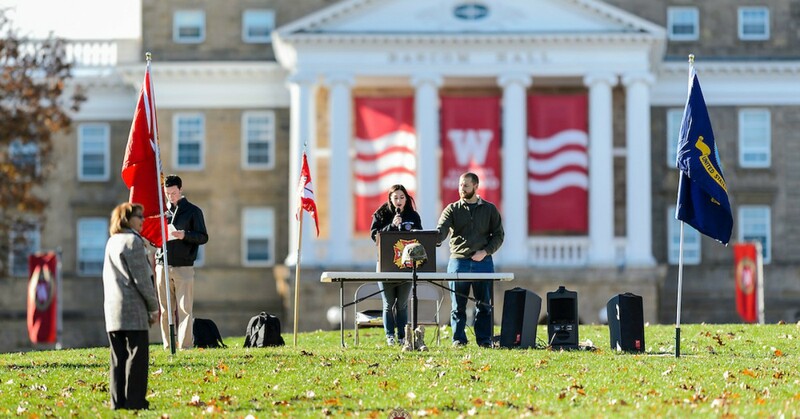 In 2017, the benefit was extended to prospective students who began their active-duty service when they were residents of states other than Wisconsin. It’s helped Wisconsin market itself as a destination for active-duty troops looking for a free higher education. There’s no time limit on when veterans must use the Wisconsin GI Bill. They can access the benefit at any time post-separation, as long as they don’t exceed the limits of 128 credit hours or eight semesters. And it’s worth noting that a veteran is getting eight free semesters no matter what. If they use all of their 128 credit hours in six semesters, they’ll still have two free semesters of education under the Wisconsin GI Bill. Family members can also take advantage of the benefit, but only if the veteran has at least a 30 percent disability rating. The spouse of a dead veteran cannot be remarried, and children must be between the ages of 17 and 25 on the first day of the first semester in which the Wisconsin GI Bill is being used. They must have also lived in Wisconsin for five consecutive years, just like their veteran parent or spouse. Ashley Peotter joined the Air National Guard in 2014 and is now a senior airman and cardiopulmonary technician. She is currently going to UW-Madison’s medical school for free, thanks to the Wisconsin GI Bill. She was able to access that benefit because her pulmonary training counted toward that 90 days of active-duty service requirement. The National Guard isn’t considered active duty and thus its members usually aren’t eligible for this benefit. Poetter said she wished the Wisconsin GI Bill also paid for other education expenses like books and housing, but she’s happy with its provisions overall. Jacob Carlson has had a similar experience with the Wisconsin GI Bill. He became an Army guardsman in 2012 and is now a first-year student at Western Technical College. The Wisconsin VA approved 3,490 applications for Wisconsin GI Bill benefits from March 1, 2018, through Feb. 28, 2019, according to Placidi. He also said that 1,321 of them were not Wisconsin residents when they entered the military. According to UW-Madison’s Rasmussen, 342 students at the school took advantage of Wisconsin GI Bill benefits in fiscal year 2017-18. That included 158 veterans, 174 children and 10 spouses, who saved over $3 million combined in tuition and fee remissions. In Rasmussen’s experience, the most common reason he hears for why people enlist in the first place is to gain access to education benefits. The Wisconsin GI Bill is the fulfillment of that goal.